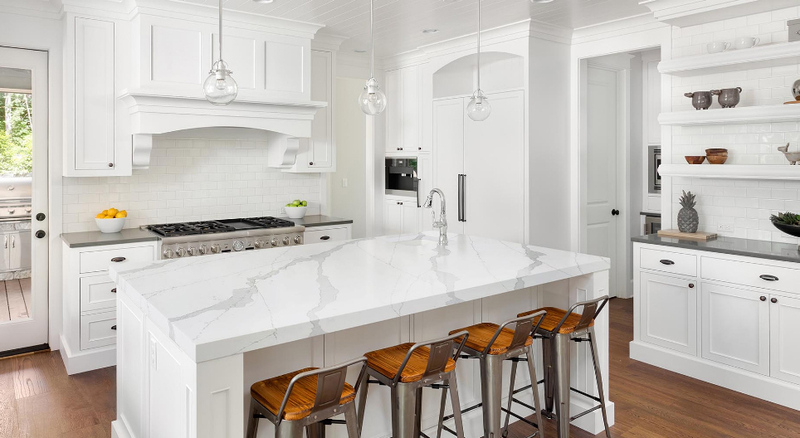 Are you intrigued by the idea of white marble countertops for your kitchen or bathroom? Black marble countertops for your office? How about spectacular marble flooring for your wet room or bathroom – anything is possible. Here at Pure Quartz, we have the experts, the design expertise and the luxury touch to ensure that a spectacular new home design can come to life for you, from room to room. Bespoke marble countertops and custom marble quartz worktops are only the beginning. We are a leading source of marble and granite worktops in Bromley, and are amongst South East London’s premier providers and trusted installers and fitting engineers in custom Italian marble worktops. There isn’t anything about marble or quartz that our top team won’t be able to set up or supply for you. We will work closely with you on your dream design from the initial quote stages through to the final installation. Silestone, Cimstone, Samsung, Arenastone Marble – we work with a huge range of brands and specialist types of stone. When it comes to granite marble worktops and more, we have a catalogue just brimming with looks and ideas to inspire any household. We offer the best in bespoke faux marble worktops designs – and we are a specialist granite marble worktops supplier offering installation and aftercare across Bromley, Lambeth and beyond. Quartz Care will ensure that you get all the advice and supplies you need to care for your black and white marble worktops and more besides for years to come. Vanity white marble countertops, Calacatta marble and more – don’t ever worry about marble worktops cost. We offer affordable, low cost and budget-friendly tariffs on a buy now, pay later basis. Installing marble worktops with Pure Quartz couldn’t be easier, and what’s more, we’re always proud to be in a position to offer natural marble quartz worktops to homes across Bromley, Lambeth and South East London. Our brown marble worktops and marble and granite worktops are some of the most popular choices we supply – and we are often able to offer amazing discounts as a local supplier to homes across our region. Cheap marble worktops in Lambeth don’t have to be low on quality – far from it – as we only ever work with the best quality stone around to create truly magnificent composite marble worktops and marble quartz worktops. Simply take a look at our fantastic range and our previous projects to learn more about what we can do. If you are interested in hiring our affordable services to supply marble worktops and countertops in a range of colours. Though black and white marble is also spectacular on its own – call Pure Quartz today for more information and for a reliable, affordable quote. Call 01233 733111 or email us with information on your upcoming refurbishment and we will be on hand to help you as soon as possible.